Standard Life helps people make good choices for their future. 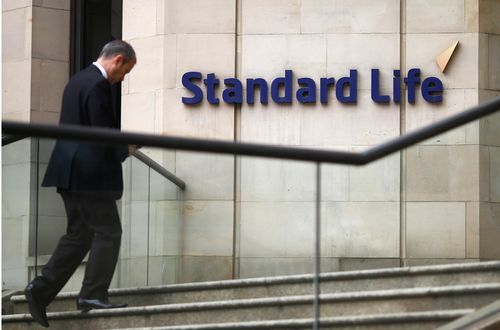 Standard Lives supports over 4.5m customers, helping them to manage their life savings so that they and their families can enjoy a better future. The Standard Life Numerical Reasoning test usually comprises of 20 questions to be answered in 20 minutes. They relate to graphs, percentages and tables whereby you will be asked to analyse data and choose from a set of multiple choice answers. These are designed to test your numerical abilities. It is advisable to practice these before taking the tests in order to get the timing correct. For the Standard Life Verbal Reasoning test you will be presented with a series of paragraphs which you will be required to read and then answer questions. Your options will be True, False or Cannot Tell. This test will be assessing your analytical skills as well as your comprehension and grammar. Again, it is advisable to practice as you need to be able to read all of the information without rushing but with enough time to answer all questions. You may be asked to take this type of test, depending on the role that you are applying for. This test comprises of questions relating to sequences of shapes and patterns. In each question there will be a missing step and you will be provided with a number of answers to choose from. These are designed to test your logical reasoning as well analytical and problem-solving skills. Again these will be timed and so practice is advisable. You will be given a brief which you will read and then discuss questions and their solutions with the group. You will be expected to demonstrate good team-work skills. In the group exercise, you’ll be assessed as to how you perform within the group so ensure that you strike a balance between dominating the group and being too passive. It is important to be able to work in a group and this is what the assessors are looking for. You’ll have to undertake a form of written exercise or presentation where you will be given a case study in which you will have to read and then answer a series of questions. This will be to assess your written and communication as well analytical skills or presentation skills if it is in the form of a presentation. It is important for this exercise to have a clear understanding of the company’s morals and values, as well as how the organisation is run. Background knowledge is vital.